Already this spring the adventures of Spider-Man will be shown in the cinemas, and the creators of the movie are making us not forget about this event. At the beginning of February, they published long The Amazing Spider-Man 2 trailer, and today a new video has appeared in the network. 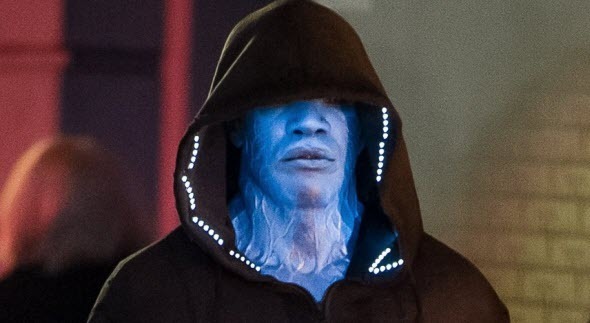 This time, Peter Parker will have to meet several enemies, and one of them - Electro. After some experiment at Oscorp, the hero, who previously named himself as "nobody", becomes a very powerful monster. Being a human, Electro idolized Spider-Man, but now we are not sure that he may become a Peter's friend. And we know for certain that this man is extremely dangerous and may destroy the whole city, if something goes not according to his plan. The Amazing Spider-Man 2 movie will be released in USA on the 2nd of May. It is a sequel to the latest reboot of the famous superhero movie series that was launched in 2012.